Cute, independent websites that sell cute, independent stuff like t-shirts and jewellery. I stumbled across this site while looking for a padlock necklace. I know, I know, but it wasn’t emo at all. Also, I’m still looking, so if you see any, please send them my way. Shana logic’s motto is “Shop indie”, and the site displays everything from canvas prints to sushi jewellery. Some of the stuff is expensive (taking into account the cross-Atlantic shipping as well), such as the limited edition prints. 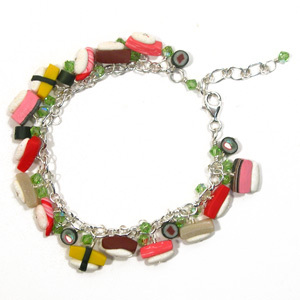 Most of it is very reasonably priced – you can get brilliant earrings for $10, and the sushi charm bracelet is a mere $60 – all handmade pieces, and some of them include Swarowski crystals. That may sound expensive, but the rest of the sushi range is half of the price with the same beautiful attention to detail. I found this website by accident a good few years ago – I don’t remember how. I do know that I was instantly in love with the designs. Michelle Romo is a hard working artist who has the ability to make simple clothing, accessories and stationery designs that are instant classics. Some of her t-shirts have been worn on Scrubs. As she does it herself, stock changes all of the time. I have a couple of t-shirts, a hoodie and a scarf/glove set, and always get compliments on them. 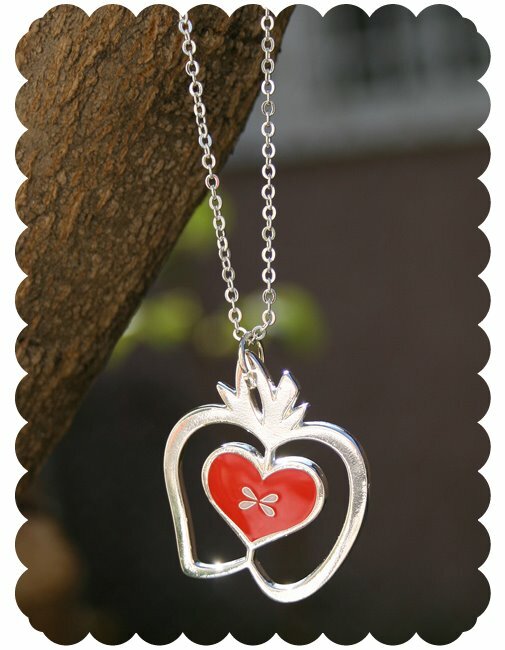 The pictured apple necklace is only $15! Where do you go for online shopping? Do you check your receipts?